Stay one step ahead in your oral health with a solid preventative plan. Too often, people wait until they have a dental emergency before scheduling an appointment with the family dentist. Whether it is a tooth extraction, a root canal, or a needed crown or bridge, chances are the painful situation could have been lessened or even avoided entirely with preventive dental care. At Dakota Dental, the professional dental services team is pleased to offer an affordable, yet top-of-the-line preventive care program. This preventive dentistry program involves regular cleanings and oral health exams to ensure your teeth are in the best possible condition. And if potential issues are discovered, the preventive dental team can monitor those or suggest action to make sure they do not worsen. The dental preventive care program at Dakota Dental also involves an at-home component. To keep teeth and gums healthy, it is essential for patients of all ages to brush at least twice daily and to floss between teeth at least once every day. 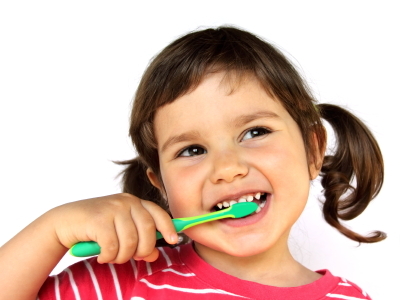 Replace toothbrushes every three to four months, and avoid sugary snacks and carbonated beverages between meals. Regular trips to the dentist for preemptive care may not sound like the best solution for patients with anxiety, however. You can still receive the care you need with sedation dentistry, a method that is often the answer for those who fear needles, shots, and dental work, or who have unmanageable gag reflexes. At Dakota Dental, the sedation dentists offer pediatric sedation and sedation dentistry for adults. To schedule preventive dentistry services or to learn more about sedation dentistry and the preventive care program, contact Dakota Dental. Simply visit www.DakotaDental.com or call 952-431-5774 to experience a different kind of dentistry.